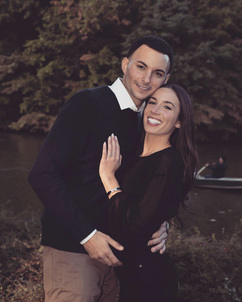 "The perfect diamond ring to symbolize our love"
I was fortunate enough to be referred to Keith at NYC Wholesale Diamonds to guide me in finding my girlfriend of many years the perfect diamond ring to symbolize our love. Keith was kind, patient, fully competent and understood exactly what I was looking for. He made what can be a very intimidating process very easy for me. My fiance absolutely loves her ring. Keith provides a quality of service that has made me a customer for life. Can't thank him enough. "Everyone says the ring is beautiful"
Working with Keith to find the perfect engagement ring made a genuinely intimidating process much more relaxed. Keith is a true class act. He was extremely patient throughout the process. My fiance has not stopped hearing how beautiful the ring is. I would highly recommend Keith to all! "A first class experience the entire time!" Working with Keith Saxe is truly a first class experience the entire time! He is a true gentleman that will never pressure you, and will gladly help you until you are fully satisfied. I’ve worked with many jeweler’s in the past and none of them were more upfront and willing to work together than Keith. Most importantly, the quality of product is top notch! Working with Keith is best choice I made, and thank you again for creating my fiancé dream ring! "Ring quality A+. Customer Experience A+. Timeliness A+"
I cannot put into words the gratitude and appreciation I have for Keith in this review because it will fall short of doing any justice to my experience. Beyond the fact that Keith is a respected and renowned expert the field of diamonds, his approach to provide guidance during an otherwise overwhelming process was the most important thing to me. He is part of an experience that I will remember for a lifetime and if I could bring him 1 MILLION MORE CUSTOMERS to show my critical acclaim for his work, I would without flinching. He is a true professional and his compassion for his clients is demonstrated through his candid approach. 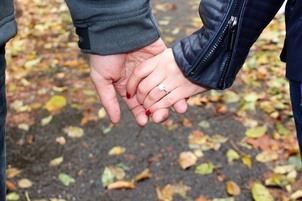 There was no pressure at any point of the experience from the initial conception of the ring idea, through payment and finally through sorting out insurance paperwork. Keith sets the standard for how this process should be conducted because beyond a financial transaction for the end customer, he facilitated an experience that makes you feel like family. The quality of the ring is breath-taking and I assure you my fiancé was floored by her new ring. Ring quality A+. Customer Experience A+. Timeliness A+. "Thank you for such an amazing experience"
My journey for finding the perfect diamond began a little over a year ago. My sweet husband wanted to upgrade my wedding ring and let me be in 100% control of the choosing process to ensure I get exactly what my heart desired. I knew I wanted to travel to NYC and visit the Diamond District but that street can be pretty overwhelming if you're just walking in to look and not knowing if the person you're speaking to is one to trust with such a very important, valuable purchase. I decided to extensively research online in hopes of finding the right match and that's when I came across Keith Saxe and his phenomenal reviews. Upon reading what many people had to say, I felt compelled to contact him and he did not disappoint! He was very attentive in listening to what exactly I was looking for and was very informative and genuinely interested in helping me obtain my goal. Fast forward to a year later and we were finally able to make the trip to NYC and to finally meet Keith in person. He was very professional, informative, not pushy at all, kind and generally a great human being who truly cared about us and what we were looking for. He gave us multiple choices to look at and explained in great detail the qualities of each diamond and which one he felt in his professional opinion checked all my boxes within my budget. It was the perfect diamond for me at a great price!! Next came the setting in which I was very specific about as well and Keith and his team custom made it to my exact specifications and it turned out better than I could have imagined. I received my ring yesterday and saw it all together for the first time and needless to say I'm over the moon excited and couldn't be more thankful to Keith and his team for such an awesome, meaningful experience! I would highly recommend Keith to anyone looking for jewelry and his access to beautiful stones and his knowledge and expertise are truly something to trust. Keith, Bill and I want to thank you for such an amazing experience from the start. Thank you for your patience and helping me fulfill such a special gift from my husband and we look forward to many more experiences! "You are the absolute best"
Please read this entire review. I am a tinkerer. I like everything to be perfect and I pretty much do everything I can to make something perfect. I change my fantasy football lineup about 10 times every week before I can put together something I find suitable. This is the type of person I am and this is the person that Keith Saxe was able to put up with and handle. First let me talk about Keith and then I will talk about the ring. Keith is absolutely amazing. There is nothing he wont do to make your ring or piece of jewelry absolutely fricken perfect. I never, not one time, felt pressured to buy anything. I never was oversold on anything. He has some of the best quality merchandise and the absolute best prices and he knows it. He has no reason to oversell and pressure you because he knows he has the best and for the best price. For those people still looking, please stop, if you are a tinkerer like me you may stop. I must have went to a dozen places and looked at almost 50+ diamonds in person and hundreds of diamonds online. Keith is the only person you need to go to. I asked Keith for a very specific design and he nailed it spot on. The ring is gorgeous. I almost didn't want to give it to my fiancé. If I ever need any jewelry of any kind I will always come to Keith first. 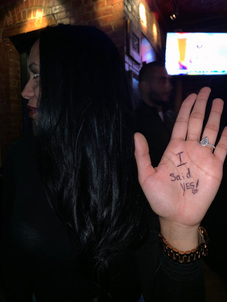 Long story short, she said yes and I gave her the ring, and she looks at the dam thing more than she looks at me these days, which gives me time to go watch some football. Keith I can't thank you enough, and any friends or even anyone that I know that is thinking of proposing or even buying jewelry I will send them your way. You are the absolute best and I can't thank you enough. "He completely exceeded my expectations"
Keith is extremely knowledgeable, caring, thorough with his explanations and will do everything in his power to stick to your budget. He completely exceeded my expectations and provided a wonderful experience. We will be using him for our future wedding bands and many other jewelry items in the future. "I could not have pulled this off without your help." Before we arrived in Sasha’s hometown in Yekaterinburg, Russia that day I had pre-arranged a photographer with the help of her parents. The cover story was that her aunt who was also the principal of the high school where she studied had given us the photoshoot as a gift since it was our first time in her hometown together. You will see in the pictures that it starts as a normal shoot until she realized what I was up to after I recited an excerpt of a poem in front of the central fountain in the recreational park. The poem is called “Love” written by Vladimir Mayakovsky in 1922 which has been translated to English. The park where I proposed is named after Vladimir Mayakovsky and Sasha played there when she was a child. It is also near the place her father proposed to her mother. Once I proposed to Sasha, and she said Yes, I told her there was another surprise. My parents, her parents, her grandmother, her aunt, my brother and sister appeared to us on the sightseeing train you see in the pictures. My parents, brother and sister traveled from Miami while her grandmother traveled all the way across Russia by train for 24 hours to be there. We then travelled all over Russia together as a family attending 4 World Cup games and too many historical sites to list in 4 different cities. It was a magical and unforgettable experience which we will never forget. I share this with you because your trustworthy service and assistance culminated in a masterpiece of a ring for us which was critical. She is madly in love with her ring design and everything it symbolizes. "We felt right at home like family!" I had the good fortune of being referred to Keith by a family member, and I knew the minute I met him that when the time came I would buy from NYC Wholesale. My now fiancee and I went in for our initial appointment together and we felt right at home (kind of like family!) and nothing changed in my subsequent visits to complete the process. It's such an important moment in your life that nerves are inevitable, but Keith did such an excellent job of making everything clear, comfortable and easy. I never felt at any point that I was getting anything but the best deal within my budget range - and of course the perfect ring! 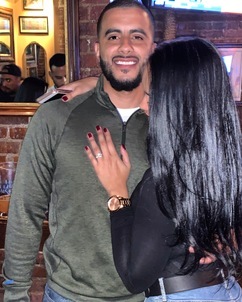 I would have given a 5-star review regardless, but Keith really went above and beyond when he squeezed me in on a rainy Friday afternoon so I could pick up the ring, rush home and propose. The ring truly is perfect; my fiancee receives compliments regularly and we will be returning to Keith for our wedding bands. "Professional and trustworthy when searching for an engagement ring"
Keith is absolutely amazing! He is everything you need when searching for the perfect engagement ring. I found him through good reviews online but was hesitant since I didn't know anyone that had used him. My first time meeting with him was great! He showed me the exact diamonds I was looking for and educated me along the way. He is not the pushy salesman you picture when walking through the diamond district of NYC. He is professional and trustworthy, exactly what you need when searching for an engagement ring. He truly cared about making both me and my fiancé happy. The process was simple, after meeting for the diamond I went back to seal the deal and customize the band. It was ready shortly after and came out perfect. The diamond is beyond beautiful and the custom setting came out better than I could have imagined! My fiancé absolutely loves the ring and I could not be happier with my experience. We will definitely be going back for our wedding bands and any future diamond purchases! I highly recommend going to Keith for an engagement ring or diamonds in general. 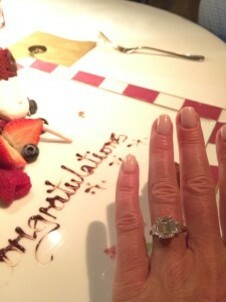 "The best diamond engagement ring ever"
I want to thank Keith for the best diamond engagement ring ever!!! We were in NYC for business. I had no intentions of buying a ring. After seeing an associate's gorgeous ring, I asked where she found it. She got me in touch with Keith and I saw him the next day. Keith explained all of the aspects of the perfect Diamond and setting for my girl friend. Of course Keith had the perfect diamond for me to inspect. After the deal was set he asked me when the Big day was. Merinda's birthday!!! August 15. Keith gave me some great advice and during our talk we came up with an even better idea. Our house is in Totality of the August 21, 2017 solar eclipse. Do it then!!! Thank you, Keith you are a Genius!!! Your interest in me and our day made it better than could have been imagined. You and NYCWD are the Best. 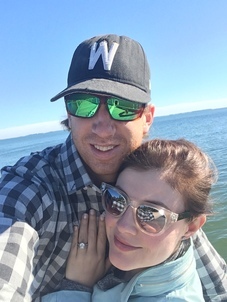 "Created a dream engagement ring at the right price "
My husband and I purchased my engagement ring and our wedding bands from Keith at NYC Wholesale Diamonds and highly recommend him. When we first started looking at rings, several family friends had recommended their jewelers in the NYC area, so when we happened to be there for a few days for work, we met with three or four different wholesale jewelers. (We lived in D.C. at the time). Keith was our first appointment and he took the time to explain the 4C's to me and my husband and didn't put any pressure on us to purchase from him. After a few other less than stellar encounters that day, we returned to Keith. When we decided that the diamond he'd shown us was a little outside our budget, Keith had an even prettier stone that was within our price range overnighted from his showroom in L.A. Keith did a perfect job creating my dream engagement ring at a price that we could reasonably afford without compromising quality at all. And our wedding bands are beautiful, too. We both get lots of compliments. We'll definitely return to Keith for all our jewelry needs - anniversaries, push presents, you name it! Thanks, Keith! "I would recommend this company to anyone I encounter"
What more can one say about Mr. Keith Saxe and NYC Wholesale Diamonds!!! Just reading up on the reviews before mine a person can see how much care and professionalism is displayed in all that Mr. Saxe brings to the table. I wanted the ideal ring for my beautiful fiancé and I was not sure where to go or where to start. But through a friend, who recently got engaged, I was introduced to Keith and from that point we hit the ground running. He was patient with me when I found out the original style my girlfriend wanted was different than when we first were in contact. He sent me updates on where we were in the process of finding the ring, when we found the right diamond, when the ring was complete as well as when the ring was going to be shipped to me in Florida for this day! If anyone is looking for quality service, professionalism with the peace of mind in knowing Keith has your best interest and investment at heart, go to NYC Wholesale Diamonds. I would recommend this company to anyone I encounter searching for the finest diamonds for the right price. "Thank you for helping me purchase my engagement ring"
Thank you very much, NYCWD, for helping me purchase my engagement ring. It went off without a hitch, and your sage advice aided me greatly! Thanks again! "Delivered the perfect ring on time and fairly priced"
I’m not a frequent reviewer – but I also don’t frequently shop for an engagement ring. A walk down 47th street is all you need – before you realize you have to look for a referral, someone you can trust. Heard only good things about Keith Saxe and am happy to say the recommendations were spot on! So easy to work with, not pushy at all and most of all has a vibe and demeanor that just makes you feel comfortable, and trusting. Listened to what I was looking for, called me only when he found it – and delivered the perfect ring – on time and fairly priced – along with all appraisal certificates and help with insurance. Keith even managed to find a low profile “stealthy” ring box so the proposal could be a total surprise Best of all – she said YES and totally loves the ring. Highly recommend without reservation. "I supplied my budget and desired specifications for the diamond"
As many of the other reviewers, I was looking to purchase a diamond for an engagement ring for my now fiancee and based on the stellar reviews set up an appointment with Keith. He blew away all of my expectations. I supplied my budget and desired specifications for the diamond and he showed me several diamonds that were within the price point and gave honest advice about each diamond. There was never any pressure and Keith made the whole process very easy. 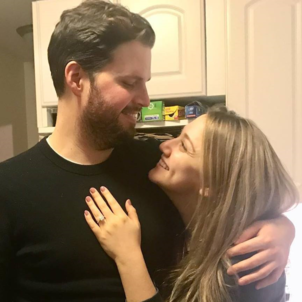 I left his office every time more excited to propose and to see my fiancee’s face. I ran into an issue with the jeweler who would be supplying the setting and Keith did not skip a beat and had a custom setting made to my specifications. The entire finished product was beyond stunning and my fiancee was ecstatic. I cannot recommend Keith enough. He treats his customers with respect and puts great time and effort into his work and it shows in the pieces that are produced. Thank you Keith! "Entire ring selecting process couldn’t have gone smoother"
The entire ring selecting/buying process couldn’t have gone smoother. Thank you sooo much for making this happen!! 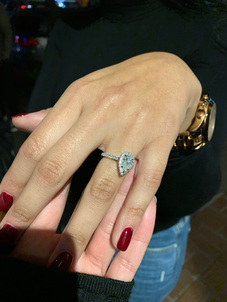 My fiance absolutely loves the ring and everyone around us adores it. You’ve made me look brilliant!! Thanks again, and I will surely share your business with everyone I know. 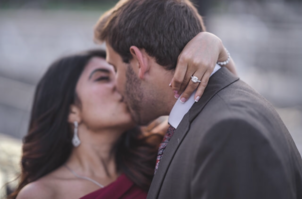 "Can’t stop raving about the engagement ring"
I started working with Keith after my brother got engaged… He couldn’t stop raving about how great his experience was and how easy Keith made the process. My brother nailed it and now I can’t/won’t stop raving about Keith and his amazing establishment. I’m not a very good decision maker and ask a boat load of questions before I make any kind of purchase… Keith never failed to respond to any of my requests and went above and beyond to ensure I had all the information I needed. He never applied any pressure and was extremely patient with me as we worked through the ring buying process (which he lays out in incredible detail!). It’s important to mention that we worked through this whole process via email and phone calls as I live in Houston, TX. I never had to visit the store and felt extremely comfortable because Keith is the consummate professional!! The end result is the amazing ring pictured below and the love of my life saying “Yes!”. Thanks again, Keith! 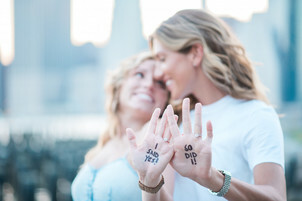 "I walked away with an absolutely stunning ring at an incredible price"
"Thank you for helping us buy the ring"
Kiersten and I want to thank you again for everything you have done! We both could not be happier. You made the process enjoyable from the very beginning and as promised, here are a few photos from our special day. 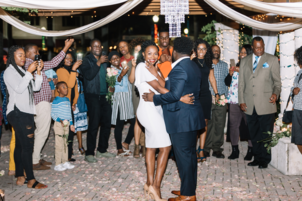 "Allowed us to make educated decisions when buying a diamond"
Before meeting Keith, my fiance and I were completely overwhelmed by the engagement ring buying process. I had done a lot of online reading and been to a few stores in person but had no idea what I was doing and was really worried about being taken for a ride by a jeweler. All of that changed when my fiance and I met Keith with NYC Wholesale Diamonds. His complete understanding of the diamond market and calm demeanor immediately put us at ease. He gave us a thorough and easy-to-understand lesson on the 4 C’s which allowed us to make educated decisions on what was important to us in buying a diamond. Once we communicated our preferences on the 4 C’s to Keith, he searched through his extensive collection and was able to show us two amazing diamonds that were exactly what we were looking for. 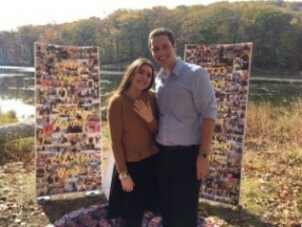 After making our decision, he continued to be immediately responsive via email until the ring was delivered. He walked me through how to buy insurance, provided an appraisal, and GIA certification (which he explained the significance of). He even insisted on us sharing our proposal news with him. We can’t recommend Keith highly enough and will be going to him for every diamond purchase we make for the rest of our lives. A couple of more quick notes on Keith: 1. My situation was a bit atypical in that I went through the entire ring-buying process with my fiance. We both loved him right away. 2. He never tried to upsell us on anything throughout the process, which was huge. This was the first diamond I had bought and was worried about someone trying to nickel and dime me as had happened at other stores but, in fact, Keith spoke with me about ways to minimize cost. 3. His timeline was 2-3 times faster than anyone else. Everywhere else we went had quoted us 4-6 weeks from deposit to delivery; Keith had the ring to me exactly how we discussed in 8 days! 4. No one was even close to matching in terms of price and quality. I did a lot of pricing research and no one was in the same stratosphere. "Helped me design the perfect engagement ring"
Keith was AMAZING in helping me design the perfect engagement ring for my fiancé. I drove down from Connecticut several times to see him, initially because he had exactly the setting style I was looking for and his Yelp reviews were very positive. After working with him for several months I can say that all of the good reviews are completely accurate. First, he knows his stuff. He’s incredibly knowledgable about diamonds and settings, and spent time teaching me the nuances of diamond selection that you can’t really get online (though you should still research the 4 C’s to get started). Keith was also very patient and I never felt that I was being pressured or “sold to”. I came back for multiple appointments and he was pleasant each time. He believes that if he treats his customers well, he’ll get a lot more long term business through referrals than the usual guy pushing a quick sale. For example, he insisted that I should NOT buy wedding bands with the engagement ring, even though some jewelry stores will try to add them on to make a few more bucks. And he even gave me recommendations for my proposal! His selection is excellent. He works right in the diamond district, goes to trade shows and has direct access to a large selection of various diamonds that is always changing. As a result he found an incredibly brilliant center stone for me that defies even the strong quality specifications that it’s certified for. Finally his prices are unbeatable. Even though I started with Keith, I did my due diligence shopping around in Fairfield County and I couldn’t come close to finding anything as good for the price. The final ring was the best diamond, in the best setting, for the best price. You can’t beat that. If you’re in the market for an engagement ring, I absolutely recommend that you make an appointment to speak with him. Since he insisted that I not buy wedding bands at the time, my fiancé and I are going back to see him together! "Trust what looking for high quality diamonds "
I can personally vouch for Keith’s professionalism. Trust is what you need when looking for high quality diamonds and that is exactly what you get with Keith – unparalleled trust! Also, I had come to Keith after shopping around and had found what I thought was a great pair of diamond stud earrings at a great price…and they were but he beat on both price and quality without even being asked. We will go to him in the future without having to shop around first and you can too. "My fiance could not be happier with her ring"
Keith has done right by my family for nearly 20 years of going to him for Jewelry. When it was finally my turn to purchase an engagement ring as always he was extremely helpful. I called and gave him 2 weeks notice of an appointment to look at diamonds, for both my cousin and myself looking to get engaged. We arrived to excellent choices at exactly our budget. 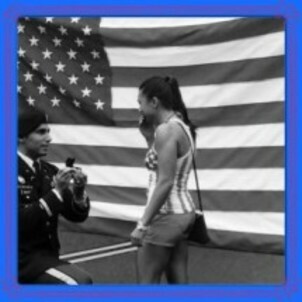 My now fiance could not be happier with her ring and in turn made me very happy. I will probably be going to him for the wedding bands and her birthday gifts as he has access to all types of beautiful Jewelry. "Help you find the best diamond for a great price"
Keith is an honest great guy who will help you find the best diamond for a great price. And he shows you HOW to do it. He’s the best and I will continue to shop with him! "Creating a custom setting and sourcing the diamond"
Keith could not have done a better job on creating a custom setting and sourcing the diamond that I bought for my fiance. My fiance has not stopped getting compliments on her ring since the day I proposed. Keith was extremely professional and helpful during every step of the process. He was patient and knowledgeable in answering the numerous questions I had about the diamond buying process. He always responded quickly to my emails and calls as well. Keith listened to what I wanted and help me chose the perfect setting and diamond. He did not just try to make the sale, he truly cared about me and wanted to make sure I was happy throughout the process. He even offered to help me brainstorm ideas for my proposal. I will 100% recommend Keith to anyone and I will use Keith from now on for every diamond purchase I make. "Educating me about diamonds and how they are priced upfront"
Keith is really great to deal with! I never felt any pressure to buy and Keith was super helpful in educating me about diamonds and how they are priced upfront. He was supportive throughout the process and was always available to answer my multitude of questions. For any big purchase I feel Keith would be the person you would want to deal with. Thanks Keith! Keith Saxe is by far the best in the business. When it comes to quality, price, and customer service he is above and beyond impeccable. I will use him for all my diamond needs for as long as hes in business, and i will recommend him to all my family and friends. He is not pushy, and genuinely cares about his clients. This is why he is on top of his industry in the epicenter of the diamond district. Call him, you will not be disappointed. "Selection of diamonds and suggested ring settings on time"
"Exactly what I was looking for in a diamond"
Keith was exactly what I was looking for in a diamond dealer. He showed me a great selection of diamonds in the range I requested. He was very respectful and never gave a hard sell. He had the setting made wonderfully with a very classic look as I requested. Most importantly, my fiance was so pleased with the ring and we still gaze at it and enjoy it everyday. "Took the time to explain diamonds and their true value"
I have met a few jewelers over the years but Keith Saxe has been one of the most knowledgeable and patient. Keith took the time to explain diamonds and their true value. After purchasing some pieces from a well known jewelry store in Los Angeles, Ca, I had a few questions that needed expertise answers. I felt Keith genuinely wanted to educate me so that I know what to ask, or look for while purchasing diamonds in the future. Keith is someone I will keep in my contact list, and will definitely not hesitate to pass on his name and business information to others that are looking for a great jeweler. "He provide me with an excellent deal on a loose diamond"
Keith Saxe is knowledgeable, professional, helpful and efficient. Not only did he provide me with an excellent deal on a loose diamond but he gave me keen advice and superb service throughout. 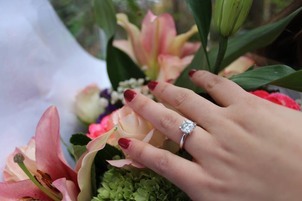 "I had the pleasure of purchasing an engagement ring"
I could not recommend NYC Wholesale Diamonds more! 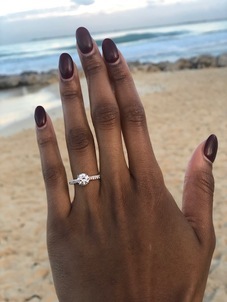 I had the pleasure of purchasing an engagement ring from from NYC Wholesale Diamonds and it was the most informative, personal and trusting purchase I have ever made. If you are searching for the best value, quality and service with Jewelry, you have found the right place. "By far the best jeweler"
I will definitely do business again with Keith in the near future and highly recommend to others to contact him for all your jewelry needs! Thank you so much again for everything, Keith! "More knowledgeable about diamonds than anyone else"
We shopped around for a while and had first hand experience with some seriously shady diamond sellers. And then we met Keith! He was super straight-forward, honest, and helpful. And he is much more knowledgeable about diamonds than anyone else we met. He made a stressful situation much easier. At the end of the process, we narrowed it down to two stones. One was much more expensive than the other one. Keith actually was actually recommending the less expensive of the two. That’s the kind of guy he is. You will feel like you have a guy on your side, and not a guy trying to cheat you. If only my fiance had followed his recommendation! I really can’t recommend him any higher. "If you buy a piece of jewelry from someone else you are crazy"
If you buy a piece of jewelry from someone else you are crazy. To shop with Keith is part of the beautiful experience of purchasing a work of art for the right price. The quality is only high end, beyond compare. Keith has the experience, expertise and personality to make the experience amazing. You know the diamond is exceptional, your choice and a big pleasure. In the jewelry world find a trustworthy advocate, Keith, at NYC Wholesale Diamonds. "The perfect diamond and the setting I had in mind"
I couldnt imagine purchasing such an important item from anyone else besides Keith. 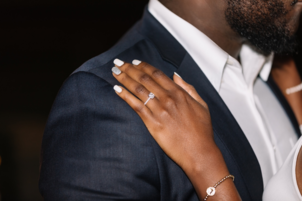 As he can contest (and he did mention it to my fiance when he met her), I am the type to analyize and put significant thought into all my purchases, especially an engagement ring. Keith not only dealt with my strive to get the perfect diamond and the setting I had in mind, but he appreciated the thought I put into it. After about four visits, looking at probably a dozen stones, and comparing each one, he found one that I absolutely loved and that exceeded my requirements while not exceeding my price range. To cut it short, if you’re in the market for an engagement ring, Keith is the only guy to deal with. Don’t event bother walking into the ground floor shops on 47th street, I only felt overwhelmed and disheartened by the quality of the customer service and the lack of loose diamond selection. "A diamond engagement ring that is stunning and gorgeous"
Keith Saxe is terrific!! He is very honest, personable, knowledgeable, and has great taste in jewelry. 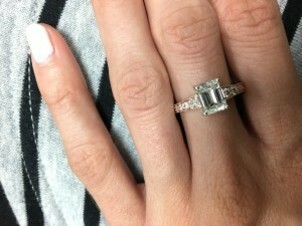 We had a very limited budget and Keith was able to make me a diamond engagement ring that is stunning and gorgeous!!! He helped us pick out a wonderful setting that truly enhances the stone and made it look like a much more expensive ring. I have gotten lots of complements on the ring . Keith was very patient in helping us pick out the diamond as well as the setting. He was very easy to work with, accommodating, kind, flexible and sensitive to our needs. It was such a pleasure working with Keith, and we really look forward to our next purchase at a future point. I highly recommend Keith for all of your jewelry needs , as he is truly wonderful. 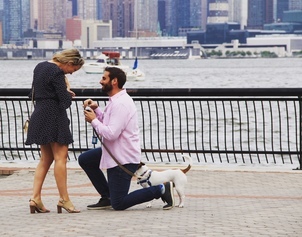 "He made our engagement ring dreams come true"
Keith was recommended by a close friend – thankfully we took her advice because it made our engagement ring dreams come true! 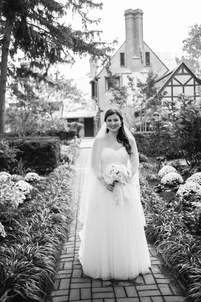 Working with Keith was a pleasure – his patience and expertise helped us get exactly what we were looking for. I wouldn’t go anywhere else after this experience – and I’m in love with my ring!! "I was searching for a ring for my partner, another woman." Keith came highly recommended by several friends I served with during my time in the military. 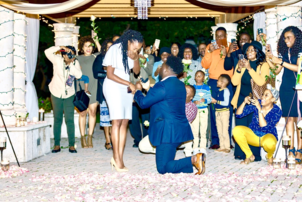 Being that I am a woman who was in search of an engagement ring for my partner, another woman, I was a little nervous and hesitant about the entire process to begin with. I was extremely comfortable with Keith. 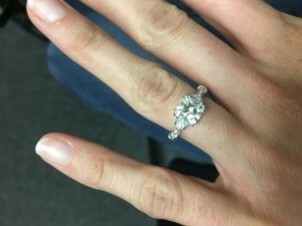 He was fantastic-he explained everything to me from beginning to end, was extremely responsive via email, text, phone, etc, throughout the process, and even took the time to explain the ins and outs of engagement rings and diamonds to my mother when she came with me to finalize the ring. I will continue to refer Keith, and will visit him again in the future for other purchases. Thanks Keith! 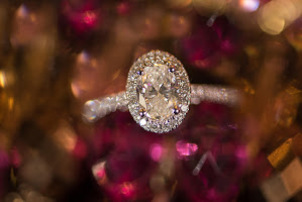 "This bride to be is blown away by her perfect ring "
For three years I worked at a boutique jewelry store and became quite familiar with diamonds. Therefore my daughter’s soon to be fiancé enlisted my help in picking out her engagement ring. A fun yet stressful request. I was in FL and had to rely on the honesty and integrity of a diamond specialist. All FIVE stars aligned and I connected with Mr. Keith Saxe. 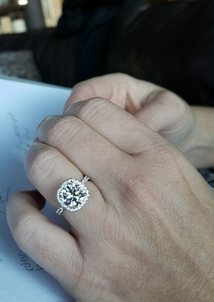 The bottom line is the now bride to be is blown away by her perfect ring produced by Keith Saxe. "My fianceé was blown away by the custom-designed ring"
I came to Keith through some research on the Diamond District and the other two reviews here. Saying that he is the best is an understatement – very patient, very attentive and very educated in his craft and will not stop until the ring is exactly what I envisioned (once the vision came to me of course!). He and his lead designer are the best – hands down; I even had an opportunity to get on “Say Yes to the Dress” – I respectfully declined. But even more so than these skills and all of his accolades and connections is that he cares. Many jewelers out there (wholesale and retail) will look for that bottom line only but Keith knows that it’s the people, the stories, and the experience that makes this great step in a couple’s life very memorable and enjoyable and he understands what should be the thought behind this process. 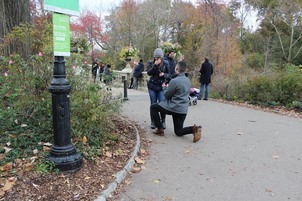 He gave me some key advice about the process toward the proposal. Therefore, my fianceé was blown away by the custom-designed ring and I can’t wait to bring her to him for the wedding bands. It was my great pleasure to have Keith help me get the one-of-a-kind ring to my one-of-a-kind lady. And my experience with Keith only adds to my legendary story of how I went about proposing to my future wife! Many thanks Keith! "I was looking for the perfect engagement ring for my Girlfriend"
I was looking for the perfect engagement ring for my Girlfriend and was refereed to Keith Saxe. When I called Keith he educated me on what I should be looking for and how I should approach buying it. He wasn’t even trying to make a sale just a friendly advice giver. I told Keith what I was looking for and he went to work! I got a call a week later telling me about a Diamond he thought would be perfect for me. After seeing 3 people before Keith I headed to NYC from LA. Not only was Keith’s diamond the most brilliant gorgeous and cut to perfection but working with him was an absolute pleasure. I knew right when I met him and saw the diamond it was a perfect match. Buying a diamond is more about the diamond you really need to trust the person you are buying from and had a instant connection with Keith. He even had a massive selection of settings that I choose from and a custom one he made that I selected. It was a true one stop shop. After the purchase Keith took such care of me and my needs that I couldn’t of felt better of my selection. Not only does my new fiancee have the most gorgeous ring she is absolutely in love with it. She gets so many complements on it and all my guy friends are already asking me for a referral to him. Keith beat every Jewelry I went to in price, and quality and I couldn’t be happier with my decision. This will be my go to for anything I purchase in the future. Thank you Keith for the best experience ever! "The quality of diamonds he show us were just so beautiful"
Keith Saxe is extremely knowledgeable within his field. He has an array of beautiful diamonds. Before we meet with him we were lost. He sat down with us and listen to what we were looking for and guided us into the best possible choice. He did not try to sell us, he wanted us to be happy. It was all about me and what would make me smile every time I looked at my engagement ring. The quality of diamonds he show us were just so beautiful. I am happy that I had him to help design and create the most amazing brilliant round solitaire white gold engagement ring. We were dazzled!!! From this experience I consider Keith not only the only jeweler I will ever go to again but a friend. He helped my dreams come true. I would recommend him to anyone who will listen. 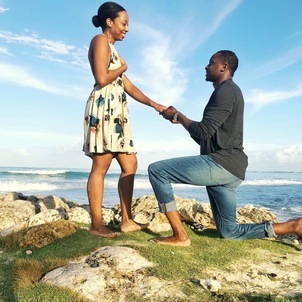 "He guided me to buy the best certified diamond"
I was hesitant to buy my diamond engagement ring in the diamond district. A friend referred Keith Saxe and his company, NYC Wholesale Diamonds, so I went in to meet him. I found his knowledge of diamonds and the workings of the jewelry industry to be incredible. He guided me to buy the best certified diamond and perfect ring that my fiancee went crazy for. It was a painless experience, and I have already referred two co-workers. One recently bought a sapphire bracelet, and was equally impressed with his experience. I definitely recommend Keith if you’re looking for a trustworthy and connected guy when in the market for jewelry.